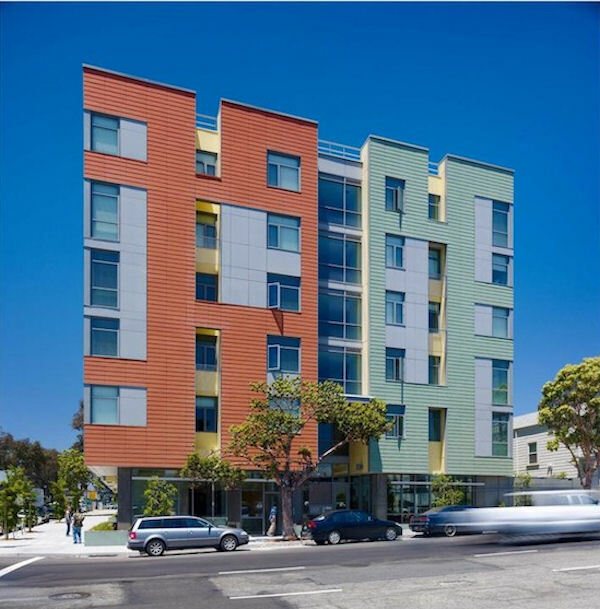 The Oakland, CA Merritt Crossing Senior Apartments consist of 70 units, which are reserved for senior citizens with incomes between 30 and 50 percent of the area’s median income. Over half of the apartments in the complex are reserved for the homeless, those at risk of homelessness, or those living with HIV/AIDS. The project was named one of the top ten green projects by AIA COTE in 2013. The building has received the LEED Platinum certification, as well as the Build It Green and Energy Star certifications.